Police in Indianapolis are cracking down on drivers who blow through the stop arm on school buses. 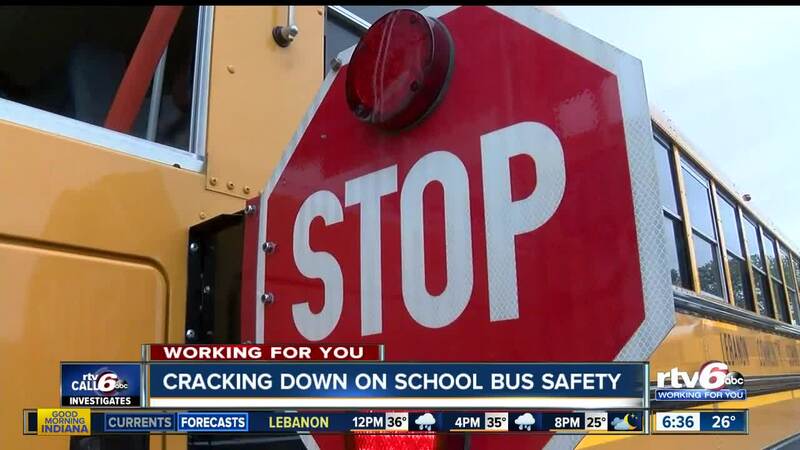 INDIANAPOLIS — Police in Indianapolis are cracking down on drivers who blow through the stop arm on school buses. There are more than 16,000 school buses in Indiana and data obtained from the state’s Department of Education shows that more than 3,000 drivers run the stop arm on school buses each day. It’s illegal to pass a school bus from either direction when the stop arm is out, and the red lights are flashing unless there is a concrete or grass divider between the lanes. The ticket for a school bus stop arm violation can cost up to $10,000 and if an officer determines you were driving recklessly it can also be a misdemeanor charge. But Call 6 Investigates uncovered police departments across the state rarely enforce those violations. Now, the Indianapolis Metropolitan Police Department is working on a new initiative to crack down on those drivers. “Project Blitz” focuses on speeding in school zones and reminding drivers to pay attention to the roads and where they are driving. As part of Project Blitz, police are monitoring active school zones and riding on school buses to see firsthand how often drivers are ignoring school bus arms across the city. Drivers are also being ticketed by patrolling officers for these violations. Two weeks in to the project, IMPD officers have already written more than 200 tickets. Officers will continue Project Blitz for the next few weeks and will monitor school zones throughout the remainder of the school year.